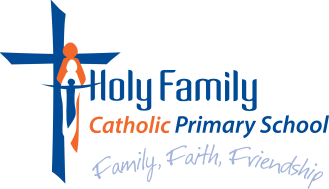 With the emphasis on learners and learning, Holy Family Catholic Primary School endeavours to develop deep engaged learning for our students. We currently implement the Australian Curriculum in the areas of English, Mathematics, Science, History and Geography. The other areas of our curriculum are covered through the Northern Territory Curriculum Framework. They will be gradually replaced with the Australian Curriculum. Transition to Year 2 classes implement “Jolly Phonics”- a multi-sensory synthetic phonics programme which makes learning to read and write fun for the students. In Years 3-6 we use a spelling program- “Words Their Way” which is a teacher directed, student-centred approach to vocabulary growth and spelling development whereby students engage in a variety of sound, pattern and meaning activities, sorting pictures and words. It caters for differentiated learning in the classroom, rather than one size fits all. Throughout all Year levels we use 1st Steps Literacy materials to continue to develop the curriculum for reading, writing, speaking and listening. Moderation of writing occurs in Terms 1 and 3 with another Catholic School in the local area. Teachers have been trained in 1st Steps Maths-Number. This training involved development of skills used for diagnosing, planning and implementation of the maths program to better meet the needs of the students in this learning area. Moderation of Maths tasks occurs in Terms 2 and 4. PMP – (Perceptual Motor Programme) is implemented for Transition to Year 2 students. This program aims to develop a child’s perceptions and understandings of themselves and their world through movement and motor experiences. It assists the student to gain experiences to further their learning in the classroom environment. At Holy Family the following are also included in our program: Indonesian language, Music and Library lessons.